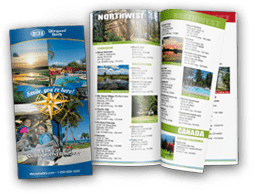 Nestled under towering evergreens and lined by fragrant ferns are Washington RV resorts, RVontheGO’s collection of private RV parks in Washington State. Outlining many of these RV parks are mountains, oceans and lakes in Washington’s most attractive destinations. Visitors to our RV resorts find that these surroundings elicit a closer connection with nature and the wildlife that populate these often-undisturbed areas. 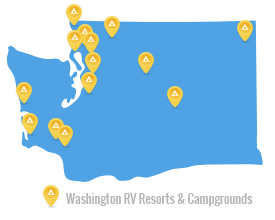 With numerous Washington RV resorts in the regions of Bellingham, Cultus Lake, Long Beach Peninsula, Puget Sound - Seattle, Spokane - Coeur d'Alene and Wenatchee, RVontheGO highlights the very best of the Evergreen State through its strategically placed RV parks in Washington.